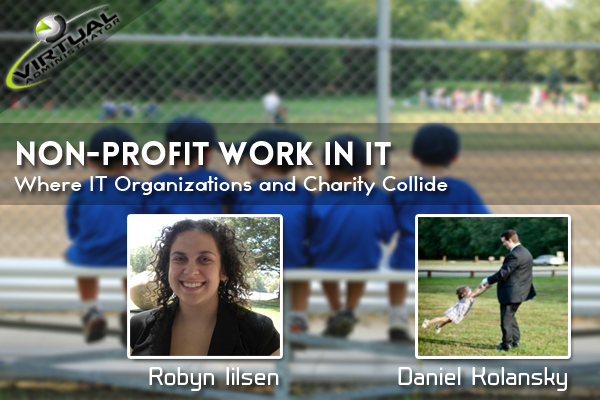 Join us Friday @ 3pm ET for a webinar on Non-Profit work in IT Organizations. Some of you have probably spoken with Robyn Ilsen since she started helping us with calls here at Virtual Administrator, but many of you are likely entirely unaware of her interaction with Non-profit work here within our company. Robyn spends a great deal of her time lending her talents to non-profit organizations and has managed to rally our entire company around some of her projects, including Buddy Ball — a local T-ball league where disabled children are able to play some sports together. Join us on Friday as we try out a completely new form of online webinar — aka, live stream. And Robyn and I will sit down and talk about her experience in working with non-profit organizations and how it has impacted her career with managed services. Click Here To Join The Live Broadcast!